No, we are not going anywhere. I understood when I made the partially-insane decision of buying a ski resort that often we would be beholden to the weather. We have always planned for uncertainty, with plenty of business contingencies in place. Unfortunately, we were only open 27 days this season and received 150 inches of snow to date (compared to 66 open days and almost 400 inches last season). An uncooperative Mother Nature has felled resorts in the past from Maine to California, and who knows, a confluence of events might fell some more someday. Eagle Point will not be one of them. We are well capitalized. We have a growing fan base in an economically vibrant region undergoing population growth, particularly young families. We are situated at an elevation and latitude that when viewed over the long term produces incredible snow seasons. And, we are committed. Plus, we printed tons of new Trail Maps before the season that we haven’t used yet. So, sorry folks, we are not going anywhere. In fact, we are doing quite the opposite. We will be back in 2018-2019 stronger than ever and this is how: what Mother Nature occasionally does not provide, we will provide. Installing snowmaking is something that we have contemplated many times. There was always an easy excuse built in—it costs a lot of money, and time and energy as well. 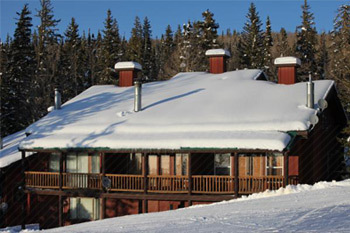 For many years, we were primarily focused on improving areas in and around the resort to ensure an optimal guest experience including renovations of the lodges, purchasing new equipment such as the piston bully groomer last year, and even working with the government agencies to improve state highway 153 several years ago. 1) Painted many interior rooms of my house. It was very therapeutic. 2) Worked daily with engineers, local officials, construction companies, and snowmaking equipment companies with the expectation that snowmaking will be ready for winter 2018-2019. Every day I’m grateful for our dedicated guests, and that the resort has never been operationally stronger thanks to our incredible team. I’m attentive to the clear desire across Utah, Nevada, Arizona and increasingly California and beyond for a resort that offers an alternative to the mega-resorts where lift operators know you by name, ski-in/ski-out nightly lodging can be had for less than your paycheck, and the true essence and beauty of skiing or riding can be experienced among the pine trees and scenic vistas rather than in your dreams waiting in lift lines. Because you are committed, so are we. The buzz of Winter Opening Day 2018-2019 can’t be here soon enough for you, and me. The team working to expand our mountain bike trails beyond our current offering of 11 miles of single track. 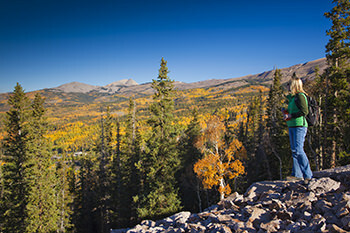 Several family reunions to bond and make memories hiking, fishing, mountain biking and spotting wildlife. Owners at Aspen Crest finalizing their building plans, and breaking ground on their dream second homes with some projected to be move-in ready by the time the first snowflakes fall amidst the rustling of golden aspen leaves. Groundbreaking for Aspen Crest’s 3 bedroom, 3 bath, 2000 square foot townhomes. 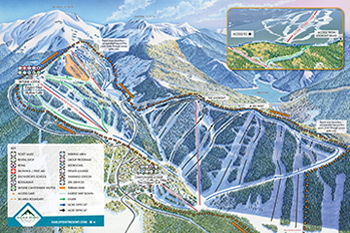 Snowmaking installations projected to be ready for winter 2018-2019. Was this our best winter ever? No, not by traditional metrics. But, it was a year that resulted in amazing late season conditions including plenty of “best day ever” powder days in March. It was a year we welcomed several midweek As You Wish gatherings. 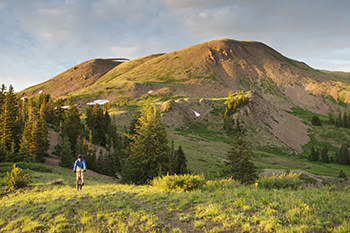 It was a year in which our loyal guests and fans refused to let Mother Nature defeat their pursuit of making memories among the pine trees and mountain tops of southern Utah. And it was a year when we all recommitted to what we love, which for me is seeing smiles on the faces of those learning to ski and ride, laughing at the lodges with family and friends, and spirits lifted after a day at Eagle Point.